with space to write five things that you are grateful for, followed by daily encouragement, a reminder to read for thirty minutes, space to write one takeaway from your reading, an inspirational quote by a famous person, and space to write an action for mindset change. 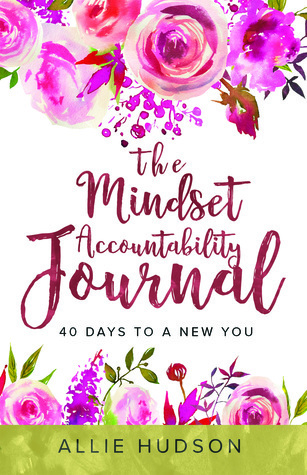 This journal is to be written in daily for 40 days to help you in "becoming your truest self by achieving a Mindset of Gratitude”. You are asked to commit to spending 30 minutes every day for the next 40 days to focus on and developing your inner person. Now I had the ebook version of this book, which I find is completely pointless on a book of this type if I am honest (especially for the price) - but now that we are in a new year I am going to take the next 40 days to follow this journey. Sign into Goodreads to see if any of your friends have read The Mindset Accountability Journal.